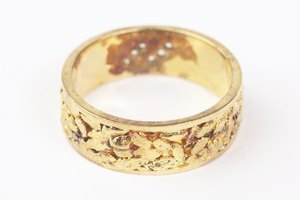 What Is Gold Tone Jewelry? 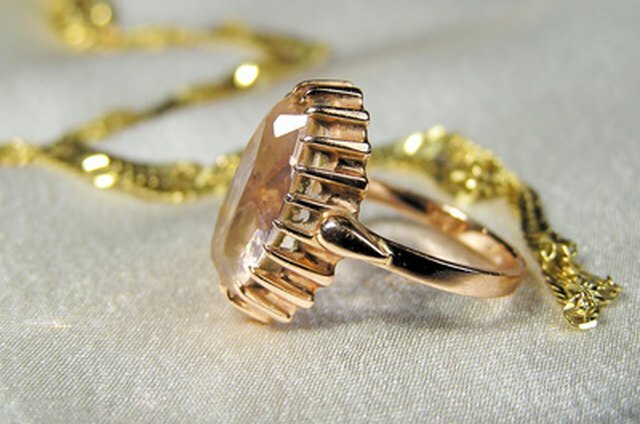 “Gold tone” is a term commonly used to describe lower-priced jewelry with the appearance of gold. Despite the name, this type of jewelry contains no gold. It's also commonly referred to as costume jewelry. While these pieces may be very beautiful, they usually have minimal value beyond their worth as collectors' items. Learning to identify gold tone jewelry can help wearers determine its value and minimize their risk of an unpleasant skin reaction. Gold tone jewelry refers to any piece that has no measurable gold content, but has a finish that appears to be gold. Some thinly electroplated jewelry may also be referred to as gold tone, but is more commonly called “gold plated.” In all cases, gold tone or plated jewelry has so little gold that the gold content cannot be measured in karats—any gold or gold color is merely cosmetic. 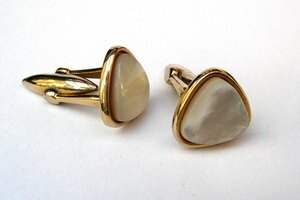 The coating on this type of jewelry often wears thin quickly, causing a loss of color and shine. The U.S. Federal Trade Commission has created extensive guidelines for the use of the term “gold” in jewelry sales. 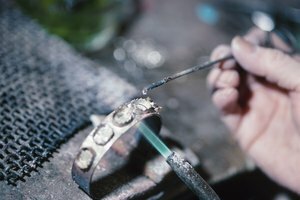 Jewelry manufacturers may not use the term “gold” without the appropriate qualifications if the jewelry is not entirely made of this precious metal. This is why “gold tone” and “gold look” have been adopted as sales terms for cheaper, non-gold jewelry or for plated jewelry containing less than the required .175 microns of 10 karat or finer gold. Gold tone jewelry is a health risk for people with sensitivity to certain metals, such as nickel. These metals are commonly used in inexpensive jewelry and can cause contact dermatitis in sensitive individuals. According to Texas A&M University, nickel allergic contact dermatitis is the most common allergy on the North American continent. About 14 percent of people suffer from this allergy, possibly because of an increase in nickel-based items in their environment. 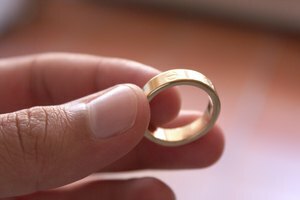 People whose family members have a nickel sensitivity are more likely to develop it themselves and may need to avoid gold tone and thinly plated jewelry. Gold tone jewelry is often far less expensive than jewelry with a measurable gold content. 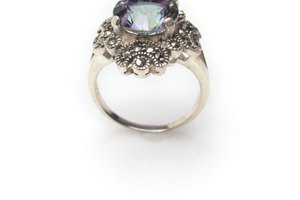 For people without a nickel or base metal sensitivity, it may be an affordable alternative to higher-quality jewelry. Sensitivities develop over time and with exposure, though. People who've worn gold tone jewelry all their lives without problems may discover that they have suddenly grown allergic. Unscrupulous sellers may attempt to misrepresent gold tone jewelry as real gold. When buying jewelry, always determine the purity of the gold and the actual gold content. U.S. law prohibits items below 10 karat purity from being sold as gold and requires at least .175 microns of thickness for jewelry to be referred to as “electroplated.” Thicker items may be referred to as gold overlay or gold filled. The Jewelers Vigilance Committee recommends looking for the karat quality stamp unless deliberately buying gold tone jewelry.